While Japanese prime minister Shinzo Abe’s visit in December last year had reaffirmed the desire to transform the Japan-India Strategic and Global Partnership to a deep, broad-based and action-oriented partnership, Indian prime minister Narendra Modi’s three-day visit to Japan, from November 10–12, was an opportunity for the two countries to review the process in the relationship and lay out a future plan of action to deepen engagement. It was in this context that both prime ministers discussed a wide range of issues of common interest, relating to economics, politics, security, climate change, infrastructure, manufacturing, UN reform and other matters. The two leaders also welcomed the high degree of convergence in the two countries’ political, economic and strategic interests that provides an enduring basis for a long-term partnership. The joint statement issued at the end of Prime Minister Modi’s visit mentioned several major agreements that, in turn, would help buttress bilateral ties. Of course, the signing of the nuclear agreement is the most important one. This agreement is a very significant development in bilateral ties, in view of the fact that Japan has in the past been very critical of India’s nuclear program, and had imposed economic sanctions following the 1998 Pokhran tests. Thus, the agreement indicates that Japan has now come to recognize India as a responsible nuclear power and acknowledges the country’s reasons for developing its nuclear arsenal. This can further be deduced from the fact that India has become the first non–NPT signatory country with which Japan has agreed to have nuclear cooperation. Apart from boosting strategic ties between New Delhi and Tokyo, the agreement would facilitate the sale of U.S. nuclear reactors to India—in the sense that two Japanese owned/controlled companies, GE-Hitachi and Westinghouse, which are major nuclear manufacturers in the United States, can speed up the process of investment in the civil-nuclear field in India, since Japan will no longer oppose removing the tracking clause from the U.S.-Indian nuclear agreement. In addition, India could access advanced nuclear technology at low prices, because the agreement will reduce dependence on France and Russia. This agreement would help revive Japan’s nuclear industry, which has been in bad shape since the Fukushima nuclear accident. The demonetisation of Rs 500 and Rs 1,000 currency notes are leading to a deflationary effect in the short term. Strong counter-measures are needed to defeat the deflationary psychology before it becomes all-pervasive. Here are four ideas to reverse deflation: reflate and make the fiscal deficit target flexible, import cash by ordering new currency notes from printers abroad, push back the GST deadline and give digital payments a big push. It is now clear that the demonetisation of Rs 500 and Rs 1,000 currency notes by the Modi government will have a deflationary effect in the short-term (meaning, definitely upto 31 December, and probably upto 31 March 2017). We have seen retail trade disrupted, supply chains in disarray, especially in food and grocery, and people are holding back on discretionary spending fearing a severe cash shortage. This calls for strong counter-measures to defeat the deflationary psychology before it becomes all-pervasive. So what should the Finance Minister being doing now? First, reflate and make the fiscal deficit target flexible. The only way to counter deflation is to reflate fiscally in the short term. This means government spends must be quickly raised, and cash disbursements speeded up. There could also be indirect and direct tax rebates for some goods and services upto 31 March 2017. Banks must be recapitalised quickly with large dollops of capital for the simple reason that the current happy situation of soaring deposits, falling interest rates and bond yields will not sustain. Remember, it is currency in circulation that is being deposited; when the cash is available, most of it will flow out again. Paper money doesn’t have any value on its own, like various other forms of money like gold or silver, have had over the years. Without enough paper money in the economy, people can’t carry out transactions and the economy comes to a standstill. On 8 November, 2016, Modi announced the decision of the government to demonetise notes of Rs 500 an Rs 1,000. Several economists have made suggestions since then on what Prime Minister Narendra Modi, should be doing next to tackle the huge amount of black money in the country. One suggestion has been made by Soumya Kanti Ghosh, the group chief economic adviser of the State Bank of India (SBI), the largest bank in the country. In a column in the Business Standard titled Demonetisation and Note Burning and dated 15 November , 2016, Ghosh wrote: "We suggest that this demonetisation may be carried out over periodic intervals with the surprise element and the government makes its intention clear on that. In such an eventuality, people will be discouraged to hold cash." What Ghosh is essentially saying here is that the government should carry out regular demonetisation of currency in the years to come. This basically means that the government should regularly make old currency useless and introduce new currency. He also suggests that the government retain the surprise element of the move like it did this time around. This means that one fine evening (or morning or afternoon for that matter), the Prime Minister should suddenly announce to the nation, like he did this time around, that the high-denomination notes are basically useless now and new ones will be introduced. Ghosh hopes that by doing this, people will be discouraged from holding on to cash. In the process the economy will move from being an "informal economy to a more formal economy". In simpler terms, it means that the black portion of the economy will come down. This I think is a stupid suggestion. Allow me to explain. Beijing will also be keeping a close eye on Trump's meeting on Thursday with Prime Minister Shinzo Abe of Japan, its key regional rival, for clues on how the President-elect, who has never held public office, is likely to conduct foreign policy, they said. China has argued the planned deployment undermines strategic stability in Northeast Asia, and worries that THAAD's powerful radar provides coverage of China's missile installations. "Whether deployment of the Terminal High Altitude Area Defense is delayed is a political weather vane," one source said. A security adviser to Trump said last week his meeting in New York with Abe on Thursday may mark the start of talks to garner Tokyo's support for a push-back against China's growing influence in Asia. The People’s Liberation Army Navy’s (PLAN’s) first aircraft carrier, Liaoning, is ready for combat operations, according to Chinese media reports. Senior Captain Li Dongyou, the political commissar of the Soviet-era Admiral Kuznetsov-class carrier, was quoted by the state-owned Global Times newspaper on 14 November as saying that “as a military force, we are always combat ready and our combat capacity also needs to be tested by war. At this moment, we are doing our best to promote our strength and use it to prevent war. But we are preparing for actual combat at any time”. The 60,000-tonne Liaoning, which was acquired from Ukraine and commissioned in 2012, had been regarded as a ship for training and development rather than an operational asset, making this the first time the carrier has been formally described as being ready for combat. In August Chinese state television broadcast images of Liaoning carrying eight Shenyang Aircraft Corporation (SAC) J-15 fighters as well as a Z-18 and a Z-9 helicopter on its deck. This represented the largest number of aircraft seen on the country’s only operational carrier, which first conducted flight operations in November 2012. The footage prompted Chinese media comments that Liaoning was exhibiting “growing combat capability”. During a 4 August TV programme PLAN Rear Admiral Yin Zhou said that Liaoning could carry up to 20 aircraft. On his 22nd birthday, Corporal Li Lei sent a WeChat update from a United Nations compound in South Sudan. A firefight between government forces and rebels had erupted in the capital, Juba, and threatened to engulf the camp where his Chinese peacekeeping force was standing guard. It was the last his friends and family back home heard from him. Two days later, a rocket-propelled grenade hit Cpl. Li’s armored vehicle, witnesses and the Chinese military said. He died two hours later. A colleague, Sgt. Yang Shupeng, died the next day. Their deaths, weeks after a Chinese military engineer was killed in Mali, have triggered soul-searching in China, which for the first time is confronting the hard realities of President Xi Jinping ’s quest to make his nation a major world power. Young soldiers often come home in coffins, a heartbreaking reality for any nation that sends its military on missions abroad. It’s a familiar one to families in America and many other countries—and a new thing to many Chinese. 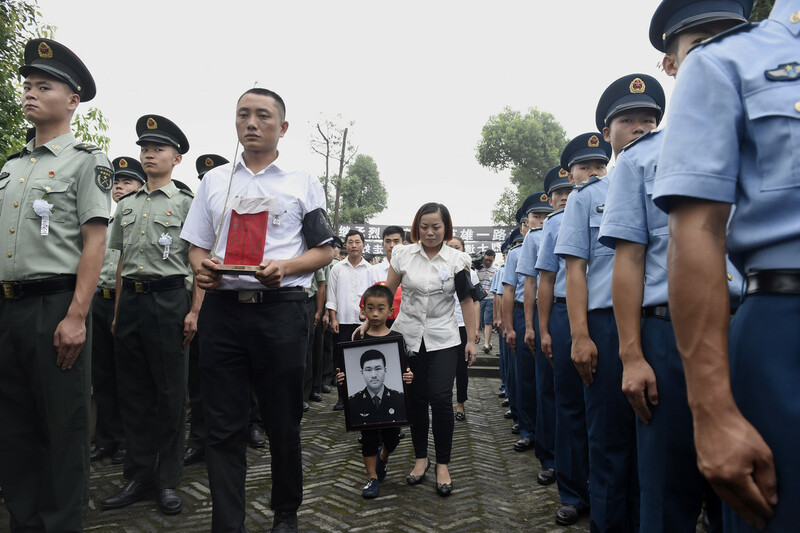 The deaths represented China’s first combat troops killed in action since border clashes following its last war, with Vietnam in 1979, after which it espoused nonintervention in affairs abroad. ISTANBUL — The election of Donald J. Trump as the next president of the United States came as an unpleasant shock to much of the world. But in Turkey, my country, it was applauded — not by everyone, for sure, but by President Recep Tayyip Erdogan and his enthusiastic supporters. Then came the response from Mr. Erdogan himself. He congratulated the American president-elect in a phone conversation that went “unbelievably well,” the news media here reported. He also invited Mr. Trump to visit Turkey “as soon as possible.” Then Mr. Erdogan criticized the protests in the United States over the election as the work of the same global cabal that he says is constantly trying to topple him. There are pragmatic reasons for this Turkish love affair with Mr. Trump, which was evident in the pro-government media months before the election. The primary reason is a strong distaste for Mrs. Clinton. They have also been deeply and routinely involved in evacuating casualties from the front in the months leading up to the offensive to liberate the northern Iraqi city of Mosul. 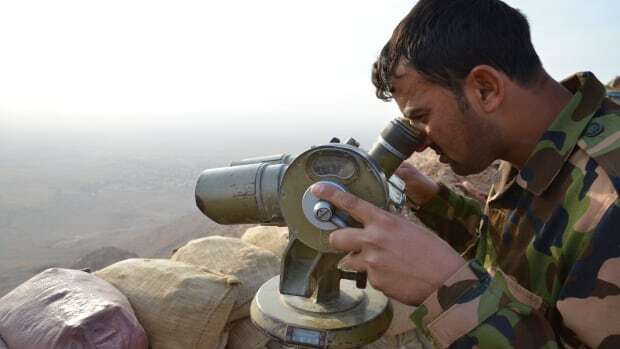 Military officials revealed the information on Monday, saying they want the Canadian public to have a better understanding of the soldiers' mission to train and advise Peshmerga fighters. Commanders have in the past hinted about troops taking preventive action, but officials speaking on background in Iraq removed all doubt. Iraqi special forces soldiers in an alley on the outskirts of Mosul as part of the operation to retake the Islamic State stronghold. The Iraqi government has asked the UK to help its military obtain powerful thermobaric weapons to drive Islamic State fighters out of tunnels in their northern Iraqi stronghold of Mosul. The request is understood to have been put to the Ministry of Defence on Monday. The MoD confirmed that defence minister Mike Penning met Iraqi officials but says the British military does not hold such weapons, adding that a formal written request could be put to the 67-nation coalition fighting Isis. All requests for weapons are supposed to be processed centrally by the coalition. The Iraqi army has admitted it is facing fierce resistance from Isis fighters inside Mosul. After weeks of deadly street-by-street fighting, it says it has liberated a third of the east of the city, meaning that Isis has been removed from a sixth of the city’s area. Donald Trump’s presidential transition is in transition. With Chris Christie and Mike Rogers out, Trump loyalistsbickering with Republican establishment types, a purge of lobbyists,and a president-elect known for helter-skeltermanagement, the incoming administration’s policy direction remains unclear. That’s especially true of foreign policy, the area where candidate Trump was most at odds with GOP orthodoxy. Donald Trump made many statements about foreign policy during his campaign, some dangerous, some promising. The latter, if he acts on them, could bring about the most profound change in American foreign policy since the end of the Cold War: a U.S. reluctance to use force to topple governments, influence the outcome of civil wars, and promote democracy and human rights. The appointments he makes, because they risk producing the same foreign policy disasters previous presidents have experienced, could easily sidetrack these inclinations. The members of the foreign-policy establishment will be certain to try. President Obama called the foreign-policy establishment “the Blob.” He was critical of the playbook it wanted to use, which invariably advocated the use of U.S. military force to effect regime change, interfere in other countries’ civil wars, and promote democracy and human rights, as well as a hyperactive and muscular approach to dealing with the world’s problems. Obama had a mixed record in taming the Blob; he succumbed to its preferences in Libya, but has kept it largely at bay in Syria. By the time of the election, many old hands in both the Democratic and Republican foreign-policy establishment were salivating over the prospect of Hillary Clinton, a charter member of that club, welcoming back the Blob’s members as mandarins of American foreign policy. “I think the reality is that the momentum that has been built into the nuclear modernization issue, in all of its elements, is significant and in the near-term, that is this year – this year’s appropriation, continuing resolution, omnibus, whatever it happens to be – will further that momentum and push it one more year forward, creating even greater momentum,” he said. Under the Obama administration, the Pentagon is working towards modernizing its fleets of nuclear-capable submarines, bombers, ICBMs and cruise missiles, as well as updating nuclear warheads. It is a major effort that budget experts warn could eat the Pentagon’s funding over the next decade, but one that Secretary of Defense Ash Carter has called the “bedrock” of American security. KIEV, Ukraine — Few politicians in the world have had to undergo the same experience twice in their career and in different countries. Yet this is exactly what happened to me in Ukraine and Georgia. I was the president of Georgia for nine years, during which it went from a kleptocracy and failed state to a country that won international recognition for tackling corruption and became one of the easiest places in Europe to conduct business. Named the world’s top reformer by the World Bank in 2006, Georgia became a flagship among the countries of the former Soviet bloc. After my second presidential term in 2013, I left to pursue academic work in the United States for a time, and then returned to Ukraine — where, as a young man, I had spent several years at Kiev University. Responding to calls from my Ukrainian friends to help apply my experience in government, I arrived along with the wave of enthusiasm for reform that followed the Maidan revolution. I offered to work in Odessa, the largest region of Ukraine. It was highly unusual for a former president of another state to serve as a governor in a different country, but the very fate of Ukrainian statehood was at stake in Odessa. The province was not only riddled with local mafia groups infamous for their thuggishness, but it was also threatened by the conflict with Russian-backed separatists in the east. Odessa borders the breakaway region of Transnistria in Moldova, which is controlled by Moscow-backed separatists and Russian armed forces. I brought with me a group of professionals from my previous government, who started to overhaul Ukraine’s police force and helped to lead the country’s first anti-corruption agency. The reform of the police force was an immediate popular success, while the new anti-graft agency established several high-profile investigations. We seemed to have the encouragement of Ukraine’s president to push ahead. When Donald Trump was elected to be the 45th President of the United States, he did so on vague promises and undefined policies. While Asia and Europe featured prominently on the campaign trail, he has been silent on any issue pertaining to Africa. Now that Trump will be taking office in January 2017, there is much uncertainty over the shape his future Africa policy will take, and how the relationship between the United States and the African continent will be affected by his presidency. What is for sure, however, is that The Donald will be bad news for Africa. Given his staunch “America First” mantra that will be guiding his administration, Africa is going to slip all the way down the list as the US decreases its engagement with the world in order to channel resources inwards. The first budgetary elements on the chopping bloc will most likely be aid provisions to those in need. Despite the fact that Trump had very little to say about the issue, the overall tenor and content of his campaign, in which he pledged to dismantle and reduce the federal state apparatus suggests that USAID could be part of the devolution as well. Although US spending on aid only amounted to 1 percent of the total US federal budget in 2015, this spending will probably careen towards historic lows under President Trump. His transactional worldview relies on receiving tangible returns on his investments – and while Africa is the fastest growing continent, Trump is unlikely to notice. The Trump presidency could also be the death knell for most of the trade with Africa. The “African Growth and Opportunity Act” (AGOA), which was signed into law in May 2000 to provide “beneficiary countries in Sub-Saharan Africa with the most liberal access to the U.S. market available,” could be one of the first US-Africa agreements to go. While its successes have been debated, AGOA has nevertheless succeeded in pushing trade and investment to become the top priority for US policy in Africa, and in developing “Trade and Investments Hubs” to facilitate African companies’ entry to the American market. With two-way trade valued at $36 billion in 2015, African member countries would lose billions if AGOA were to be abolished. Coupled with the possible abandonment of the “President’s Emergency Plan for Aids Relief” (PEPFAR) and other development initiatives such as Obama’s “Electrify Africa Act”, Africa might be left standing in the dark. Just how disastrous Vladimir Putin’s decision to rely on the export of oil rather than to modernize and diversify the Russian economy is going to become ever more obvious in the coming years given that world prices of oil may fall to as low as ten US dollars a barrel and Russia’s production of oil to fall by almost 30 percent over the next 25 years. Those predictions are offered by the new annual report of the International Energy Agency, and they point to a disaster for Russia even if oil prices might occasionally spike upward from where they are now unless Moscow takes step to end Russia’s dependence on oil exports (ng.ru/economics/2016-11-17/4_6861_oil.html). The reason the IEA says oil prices will fall is rooted in lower production costs brought about by the fracking revolution. Demand in fact will grow by 12.5 percent by 2040 to 103.5 million barrels a day, “Nezavisimaya gazeta” journalist Olga Solovyeva says in reporting on the findings of the agency. “For Russia,” she says, “the IAE predictions are hard to call optimistic. Russian oil production is slated to fall by 30 percent to 8.5 million barrels a day from its current rate of 10.9 million.” While Russia’s oil companies may do all right, the report continues, the Russian government is going to be constricted by a decline in revenue from the sale of oil abroad. The situation may become even more dire as the world enters a period of extreme volatility in oil prices because those countries in the West that are using fracking can adjust their production levels at lower losses than those like Russia that use this technology for a much smaller share of their production. BEIRUT — Warplanes based on a Russian aircraft carrier hit targets across rebel-held parts of Syria on Tuesday, bringing a new attack force into the conflict as Syrian troops stepped up their offensive on the besieged city of Aleppo. The introduction of Russian aircraft carrier Admiral Kuznetsov into the battle suggested the beginning of a renewed offensive by Syria and its Russian allies seeking to reclaim full control of Aleppo, a strategic northern city and one of the last urban strongholds for factions opposing Syrian President Bashar al-Assad. It was the first time that carrier-based jets have been used in the battles. Russia also said a frigate also in the Mediterranean launched cruise missile strikes. Russian officials said the airstrikes took place in Homs and Idlib province — both areas north of Damascus but not covering Aleppo. It remained unclear, however, whether the Russian warplanes also took part in the Aleppo airstrikes. Activists and news reports said bombs had been dropped across at least four neighborhoods in the city’s eastern half, an area controlled by anti-Assad fighters. Aleppo has been the center of fighting in Syria since last month. The government’s recapture of the city — under rebel control since 2012 — would be a heavy blow to Syria’s armed opposition and could hasten the fall of its remaining strongholds across the north of the country. Images shared by local activists showed men and young children searching for survivors in the wreckage of a building in east Aleppo, where an estimated 250,000 people remain. The casualty count was not immediately clear. Syrian state television reported the strikes had hit what it called “terrorist” strongholds and supply depots. But residents said the bombs had landed on civilian homes. The claims could not be independently verified.